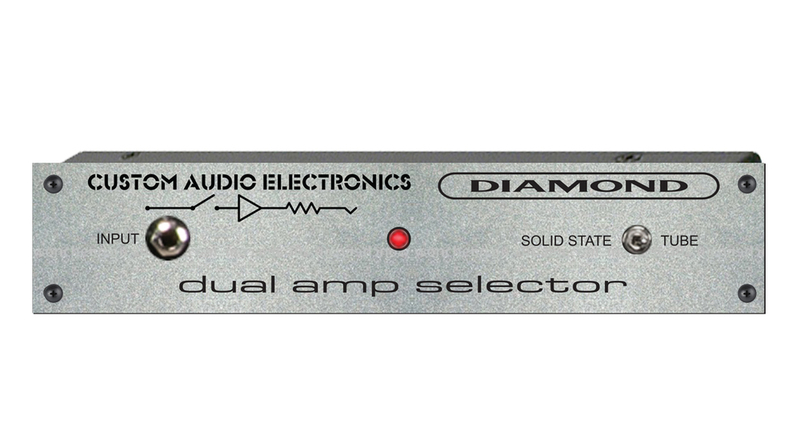 The Dual Amp Selector was designed by Diamond Amplification in cooperation with world-famous rig guru Bob Bradshaw from Custom Audio Electronics. Bob has been the leader in building guitar rigs and interfacing systems for the biggest names in guitar including The Edge, Eddie Van Halen, Stuart Copeland, and many, many more. The Dual Amp Selector was built to solve a singular, but plaguing problem – how do I have two amps and share the same cabinet? There have simply not been effective solutions. While there have been some custom options that were exceedingly expensive, or a low-end option or too lacking in correct function, quality and reliability, a solution like this one just hasn’t been around. Until now.